6932 N. Santa Monica Blvd. 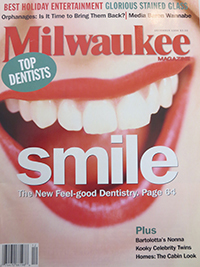 For over 30 years, the dental office of Brad Gerdes, DDS has been proud to serve the Fox Point, Shorewood, Whitefish Bay and Glendale, WI communities with the highest level of patient care. 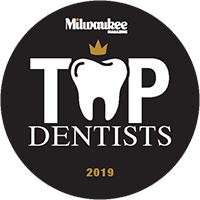 Our dentist, Dr. Brad Gerdes and our friendly team are dedicated to providing our patients with quality dentistry in a comfortable, relaxed setting. We take pride in the work we provide because we love what we do. Our team is here to support and assist every patient with all of their dental needs. By getting to know each patient individually, we are able to customize the dental care to fit each patient's needs and lifestyles. Whether our patients are in need of a simple exam and cleaning, restorative treatments, or a complete smile makeover, we have the experience and knowledge to give our patients ideal dental health. From the moment you walk in the door, you'll notice the upbeat and positive atmosphere created by our warm and welcoming staff. 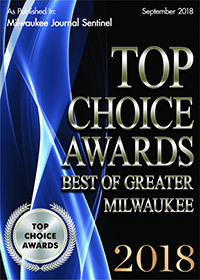 Don't just take our word for it, we were honored to be voted a Top Dentist in Milwaukee Magazine! We look forward to meeting you and giving you an honest appraisal of the best way to create and maintain your beautiful smile for a lifetime. Contact our Fox Point office to learn more about the care we provide.